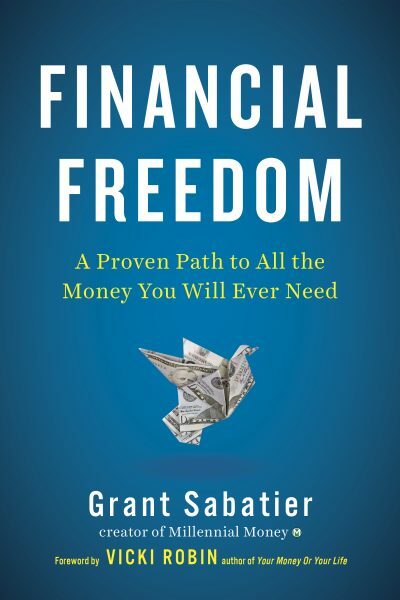 Grant Sabatier’s new book Financial Freedom: A Proven Path to All the Money You Will Ever Need was exactly the book I needed to read right now. I’ll be honest with you: I get a lot of advance copies of personal finance books, and some of them I kind of skim through, but when I got Financial Freedom I read the whole thing in full and then spent most of a Saturday reading the whole thing again, and this time doing all the exercises. If you watch the trailer, you might think that this is just another book about achieving Financial Independence — and you might skip it because you aren’t currently working towards FI. I’d suggest reading it anyway. So read it at your own risk. But read it. Like Your Money or Your Life, Financial Freedom is the type of book that will change the way you think about money — and probably help you figure out ways to start earning more.